At IWCO Direct, there is a lot that goes into keeping our production equipment aligned with the growing needs and complexity of highly-personalized, data-driven marketing campaigns. Marketers continue to expand their use of personalized messaging in all parts of their direct mail designs. We are continually exploring the latest technologies and personalization equipment to fulfill that demand and stay ahead of the curve. The second half of the year has been a very busy one at IWCO Direct, both adding and testing new equipment. Our focus is on making the best use of our people while expanding our digital print and personalization capabilities. For the people part, we focused on equipment that improves our labor efficiencies and expands production capacity. On the digital print and personalization equipment side, the focus is on expanding capabilities and production capacity. In direct mail marketing production, the majority of labor tends to be in the lettershop: finishing, folding, and inserting. Our recent investments in high-speed inserters, mail sorting equipment, and finishing equipment will improve labor efficiencies while expanding production capacity. To broaden our digital print capabilities, we looked beyond just the personalized letter by focusing on personalized promotional cards and personalized envelopes, as well. To personalize multiple components with a unique message to a single recipient requires equipment capable of merging and matching multiple print streams. We are currently installing and testing personalization equipment that will impact letters, cards, and envelopes by delivering more flexibility and improving print quality for variable messaging on those components. We take a comprehensive look at all our equipment acquisition options to determine which investments we select and approve. The benefit categories we focus on for evaluating the projects are production efficiency gains, capacity gains, and capability improvements. Capacity and capability are highly influenced by our clients’ needs. They can come in the form of expanded capacity for an existing product or positive testing results for a new product or capability we have introduced. We are constantly balancing our equipment selections based on the growth of existing products and the demand to introduce new capabilities. This is where equipment trials and testing can play a very influential role in that decision-making. There are far more benefits for equipment trials than we have space to discuss in this article, but one invaluable result is the opportunity to introduce and test new capabilities in a multi-variate test (MVT) for a client. 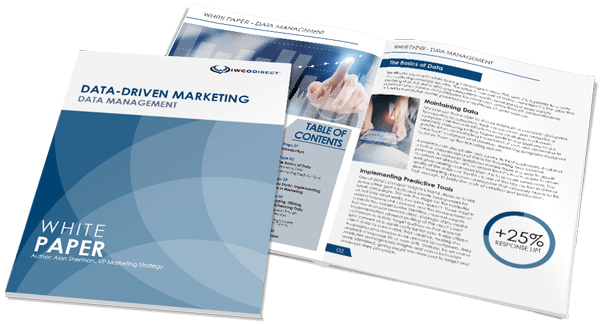 This provides us with measurable marketing response rate results that help us gauge the potential demand and growth curve for that new capability. There is no silver bullet or single new capability driving all the growth and equipment acquisition. Rather, it’s a balancing act to drive growth and advancement in all areas. As we continue on the path of digital print transformation and a 1-to-1 marketing approach, the equipment and technology that seamlessly connects the front-end marketing content creation with the back-end production will play an increasingly influential role. If you have any questions about our current equipment portfolio or ideas for future personalization equipment upgrades, please let me know.